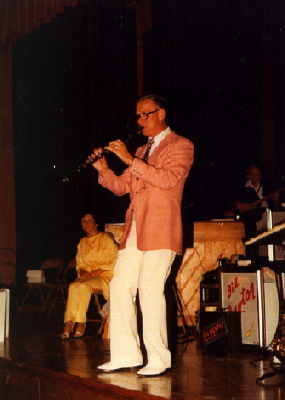 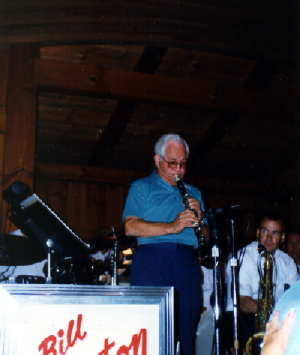 Bill Dayton is shown playing his popular clarinet. 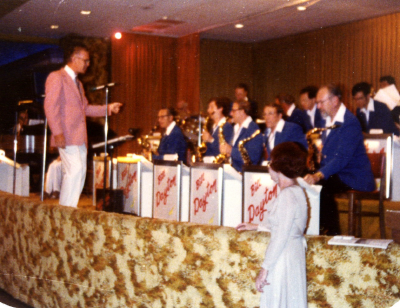 The Bill Dayton Big Band at Schotties in Littlestown, Pennsylvania, where they debuted one year prior. 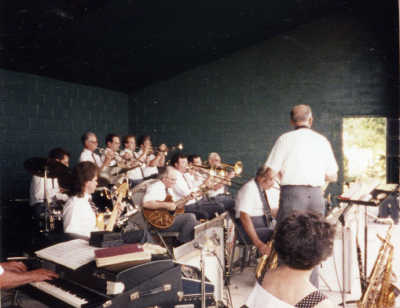 Bill, Phyllis, and Sandy Dayton are pictured in front on the far right of picture. 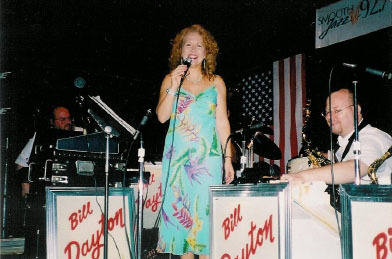 Phyllis Dayton's lovely renditions of so many beautiful tunes add a charming touch to the Bill Dayton Big Band on tour in Oregon. 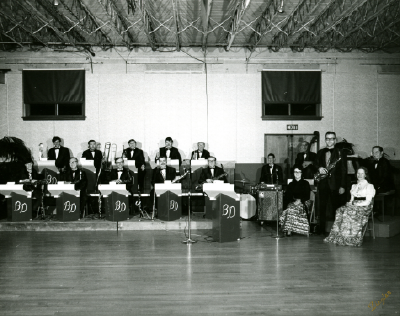 Below (left) the big band performs at the famous Val Air Ballroom in Des Moines, Iowa and in Oregon (right). 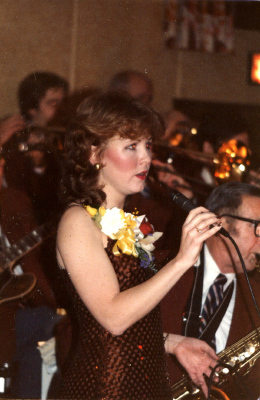 Sandy sings "Sentimental Journey" with the Big Band at their 10th Anniversary. 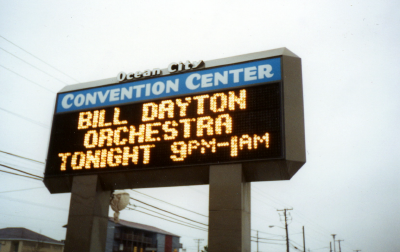 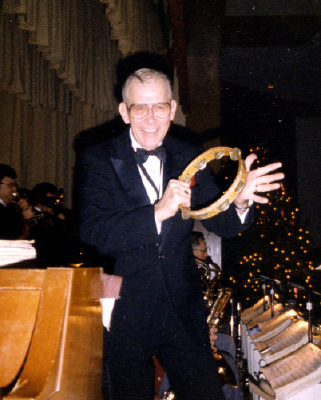 The Bill Dayton Big Band headlines at the Ocean City Convention Center during a dance concert series, along with other Big Band greats such as Les Brown, Glenn Miller, and Larry Elgart. 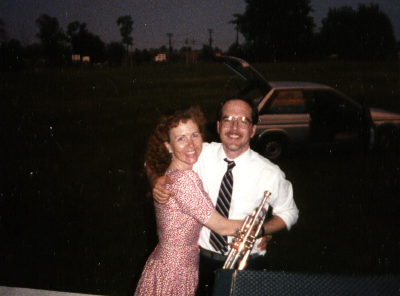 Steve (below with Sandy) joins the band at Pen Mar Park where Bill and Phyllis Dayton chaired the board of directors to rebuild the Pen Mar Park Pavilion (Blue Ridge Summit, PA), and where nearly a million people have since come to dance. 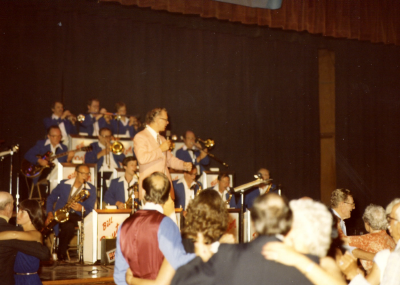 Bill "Shakes, Rattles, and Rolls" the audience New Year's Eve at the Embers Ballroom in Carlisle, PA.
Sandy and Steve began sponsoring dinner dances when they took over the leadership of the band. 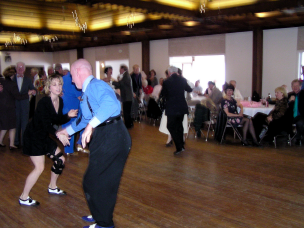 John "Psychoboy" McCalla, American Lindy Hop champion is shown dancing below at the Westminster Riding Club dinner dance. 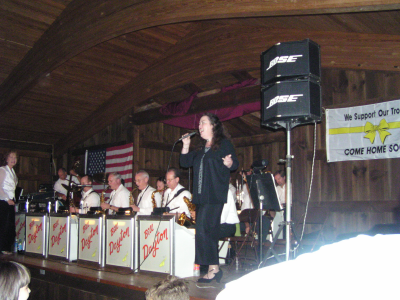 Connie Guy turns in a great vocal performance with the Big Band at the Naylor's Wine Cellars dance. 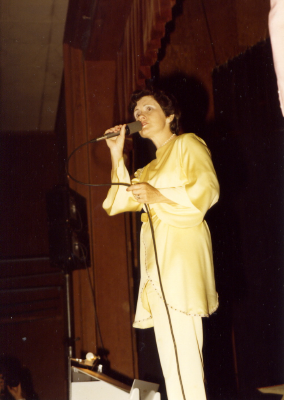 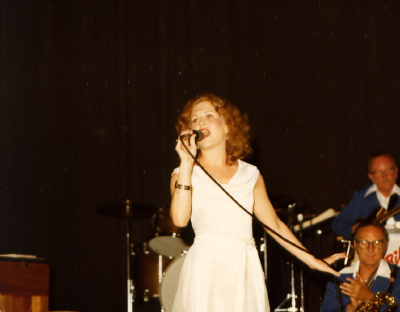 Connie performs many places in Maryland, Pennsylvania, and Washington, DC with other Big Bands, as well as the The Guy Jenkins Band . 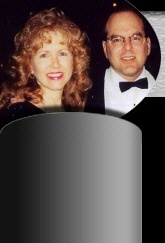 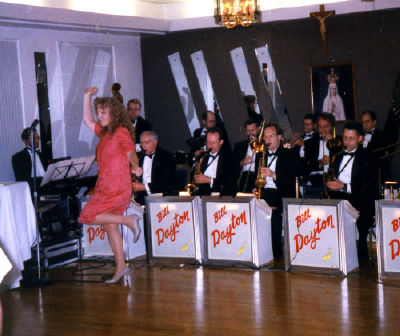 Sandy with the Big Band at the Naylor's Wine Cellars dance.